A few years back, I walked into an Iowa healthcare executive’s office to discuss an idea that I thought carried a great deal of merit regarding patient safety. The executive, also a medical physician, politely listened to me. The idea was both simple and very intuitive. Since the mission of this particular healthcare organization is to “facilitate exceptional healthcare quality and safety for Iowans,” I had hoped it would be open to potentially embracing this approach in Iowa. My idea was generated from the Hospital Survey on Patient Safety Culture, which is a hospital-staff survey designed by the Agency for Healthcare Research and Quality (AHRQ) to help hospitals assess the culture of safety within their own walls. When you think about it, who better to ask about quality of service within a hospital than the frontline workers themselves – staff, nurses, technicians, etc.? In fact, a report in BMC Health Services found that hospitals with “higher staff perceptions of safety culture were associated with better overall safety, as measured by a composite of reported harms and patient satisfaction.” Additionally, when noted physician, Marty Makary and his staff performed a joint study with risk management firm, Pascal Metrics, they concluded “hospitals that scored well on the staff survey had lower rates of surgical complications and other important patient outcomes.” AHRQ’s 2018 Patient Safety Culture Survey results are found here. My idea? Make this carefully-crafted survey tool become mandatory for ALL Iowa hospitals to complete and eventually share with the public. A very small number of hospitals in Iowa do perform this survey, but unfortunately, the results are not meant for public disclosure. Mandatory participation of all staff within each department. Frankly, if a hospital is large enough to care for patients, then it should be large enough to be surveyed on how it reports its organization’s patient safety culture. Clearly, the executive did not want this to become public knowledge, as the results ‘could’ undermine the trust the public places within each of the state’s 118 community facilities. In our recently-released Heartland Health Research Institute (HHRI) study, “Iowans’ Views on Medical Errors: Iowa Patient Safety Study©,” nearly 90 percent of surveyed Iowans said having this type of information would be helpful when making healthcare decisions. Safety of care, I have learned, can be more about the optics (carefully spoon-fed to the public) than actual substance. For example, developing safety awards for hospitals who report few errors can dangerously promote behaviors to withhold adverse event reporting, a solemn fact that I have learned from a trusted, first-hand source in the hospital community. Although promoting safety awards may have good intentions, poorly-constructed programs can exploit an already dysfunctional healthcare system for a desired outcome – giving the public a false sense of security in which to rely on receiving safe care. Manipulating sacred patient trust is a gross violation of professional ethical codes. As stated in our ‘Silently Harmed’ white papers, preventable harm in healthcare is a public health crisis, and much of this problem stems from organizational systems tolerating (or hiding) poor safety cultures. In a prior HHRI blog, “Another Estimation on Hospital-Related Deaths Due to Medical Errors,” I received a very descriptive comment from Donna Helen Crisp, who spent eight years writing a book about what happens in hospitals when things go wrong. In North Carolina, Ms. Crisp served as a nurse, nursing professor medical ethicist, dying patient, and author (Anatomy of Medical Errors: the Patient in Room 2). As an advocate, Crisp helps raise awareness about preventable medical errors and adverse events so that they can be eliminated – or at least mitigated. 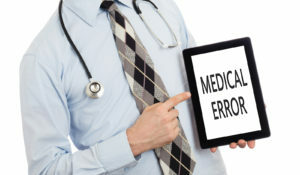 Because most medical errors go unreported, it is necessary to establish baselines – however they are determined – to track future progress on eliminating these errors. But we can learn a great deal by heeding Ms. Crisp’s words who courageously educates us about this public health crisis. I only hope this same courage allows others who serve in crucial roles throughout our healthcare delivery system to proactively do the right thing and provide the transparency in care that we so desperately need.